The Pantelleria Project began its first excavation season this year in 2015 with the first week having seen the opening of three trenches. 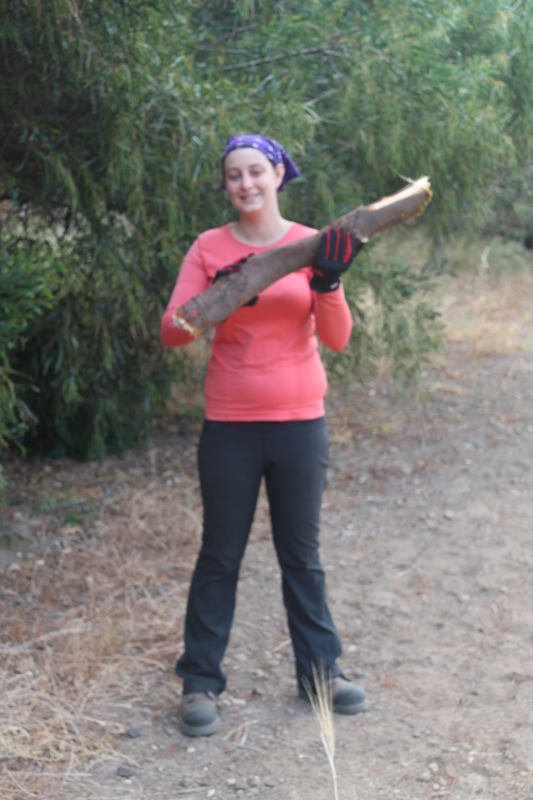 The project began in what we like to call the ‘zucchini field’ with: the clearing of overgrown weeds, trimming a few Eucalyptus tree branches, and setting-up the first trenches. Progress continues to be fast-paced; the nine of us have moved more than 500 buckets of soil. The weather so far is never concrete, as the island is cloudy and sunny multiple times everyday. The first week of excavations have taught me much about island weather, how a project begins, and the surprising amount of soil on the island! Professional Moment of the Week: Learning the basics of how one begins a new archaeological excavation project in Italy. Personal Moment of the Week: Swimming in the volcanic lake, known as Lago di Venere, while the soil tries to swallow you with every step, and then finally learning to float across the 50-100cm deep water. 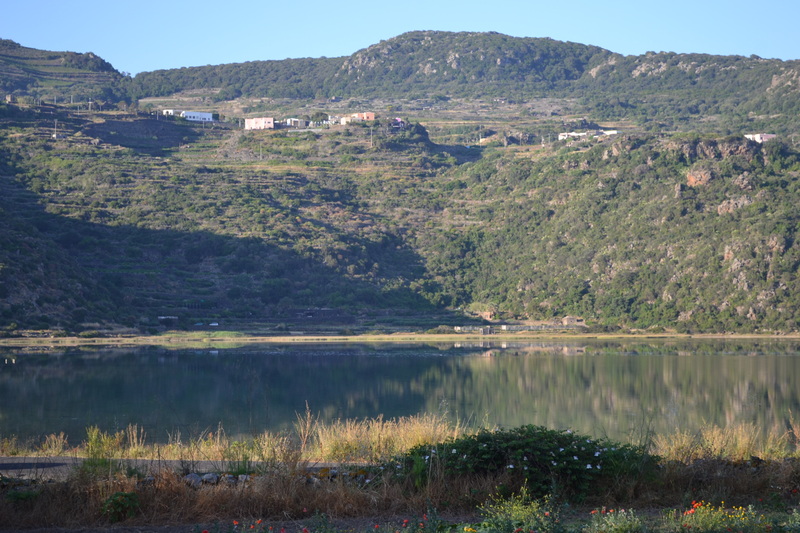 The Pantelleria Project at the Lago di Venere has proven to be both inspirational in the field of archaeology and remarkable in broadening my cultural lens. Trying to put myself in the shoes of the people of antiquity really puts things into perspective, in particular the spectacular “Mirror of Venus” effect when the water of the lake is completely still. Clearing an area in preparation for a dig can be quite taxing, especially when there are branches thicker than your arm, but I hacked my way through one, literally. Excavations at a new site can be challenging as well, but perseverance and dedication paid off with interesting finds both in situ and in terms of artifacts. This first week has proven to be a test of cultural learning in areas outside of the dig site and getting used to “island time”; it has also opened my eyes to the different methods used in excavations. The first week of excavation has gone really well, and the view from our trench is jaw-dropping. We already have four trenches open, and I have learned so much, not only about the site itself but also about the general antiquity of Pantelleria and its role in the Mediterranean world. In one week I have gained a greater understanding of Greek, Roman, Italian and African history; one example being Pantelleria’s role in the obsidian trade. This being my first excavation I have learned a lot of practical skills of archaeology as well, like site drawing and photography. The most exciting find so far has been a terracotta knuckle bone (astragalos) found in the top soil of my trench, whereas my favourite moment off site would be watching the finches from our front porch migrate from Tunisia to Sicily. As soon as I saw how our propeller plane landed I realized how small this volcanic island really is. It can feel a little isolating at times, which is good for concentrating on work without many distractions, but it also presents a problem of getting the word out about this project. 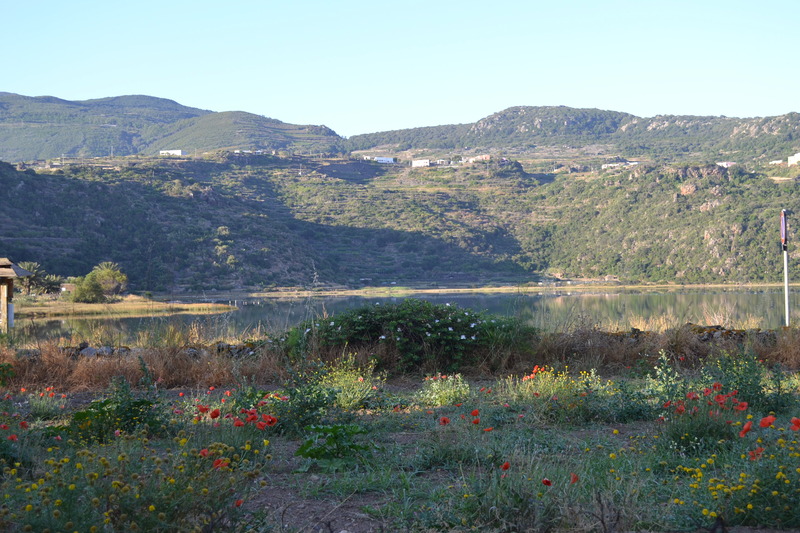 This week has been primarily focused on the initial stages of the excavation and getting familiar with Pantelleria town. The town itself has a unique aesthetic, contrasted by concrete block buildings built after the Second World War and its Norman castello in the town centre. Having not experienced a newly begun excavation, it was interesting for me to see how much GPR (ground penetrating radar) readings can determine the placement of trenches, and to learn the hypotenuse method of trench marking. Finally, the much smaller team than I had experienced previously has allowed for me to understand more about the goings-on of archaeology through a more personalized work environment. The first week of excavation for BUAPP 2015 has brought with it a host of new experiences. Along with the traditional activities of moving topsoil, watching with hawk-like eyes for pottery and other material culture, and using a trowel to observe minute changes in soil, I’ve had the chance to engage in some aspects of archaeological fieldwork that are new to me. One such aspect is the drawing of a plan, which reproduces a bird’s-eye view of a particular feature or stratigraphic unit (SU). Though juggling so many different activities is sometimes exhausting, one only has to turn and gaze upon the stunningly beautiful volcanic crater lake that lies close to our site to feel refreshed and reinvigorated. The lake, commonly called the Lago di Venere (Lake of Venus), also goes by another name, the Mirror of Venus, because of its amazingly clear, calm, reflective stillness. It was a very exciting week at Lago di Venere as we just started excavations! In such a short period of time, the team has got a great deal of work done and everyone should be very proud. Two trenches in and we have already found some interesting artefacts and features. Starting a new excavation is much different than joining one that has been open for some time. There is a lot that has to get done before getting to work in the field and learning about the process of it has been very eye opening. Waking up at 6am every morning is absolutely worth it because of the beautiful view from the site. The most exciting part about working in the field is learning while doing, rather than just sitting in a classroom. The things we learn in class prepare us for what we have in store during excavations, like being able to identify certain objects for example; but the field gives you a chance to apply everything you have learned.